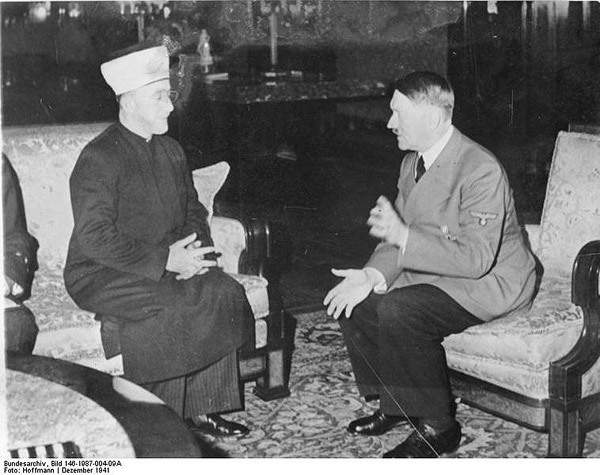 See more on the Mufti’s relationship with Hitler, here. That the Mufti was not an instrument of the Holocaust was only because there was not enough time, but he was responsible for many innocent lives and planned to be at the helm when his Nazi allies swept south and handed him the Jews as promised. He lauded Hitler with the unctuous solicitude that defined him when grovelling, as did the murderous contempt for his victims when dominant. In Egypt, after the war, he organised violent resistance against the Jews of Palestine, and left the indelible stain that now marks Abbas. 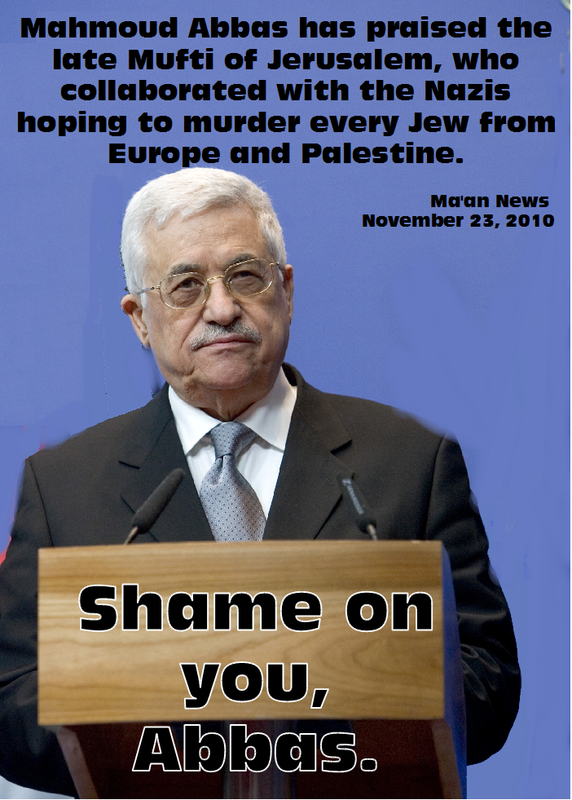 Why is anyone surprised that Mahmoud Abbas lies through his teeth, which are probably as false as he is? This is a man who chose to write his entire PhD thesis (at Moscow’s Oriental College) on the Holocaust and follow it up with a book in 1983, “The Other Side: The Secret Relationship Between Nazism and the Zionist Movement,” which denies the Holocaust occurred. Abbas has never specifically repudiated his book, which purports to refute “the fantastic lie that six million Jews were killed” in the Holocaust. The Open Relationship Between Nazism and the Islamofascist Movement. The Beeb’s hypocrite concern for the plight of the Orthodox makes way for their being “exposed” as welfare recipients.